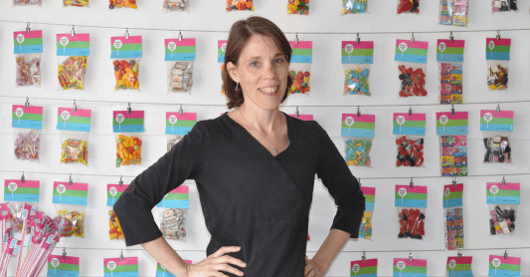 Home»All»Meet Tanita Gumney of Heights Candy Bar – Houston Mom, Business Owner & The Coolest Mom Around! At BigKidSmallCity, we believe the more we know about the people of Houston, the smaller our city feels. And who better to meet than a Houston mom and owner of Heights Candy Bar! Meet Tanita Gumney! In her own words, she tells us about her family, her business and what she likes about Houston! I’ve lived in the Heights area over 15 years. I’ve been married to my husband for 11 years. 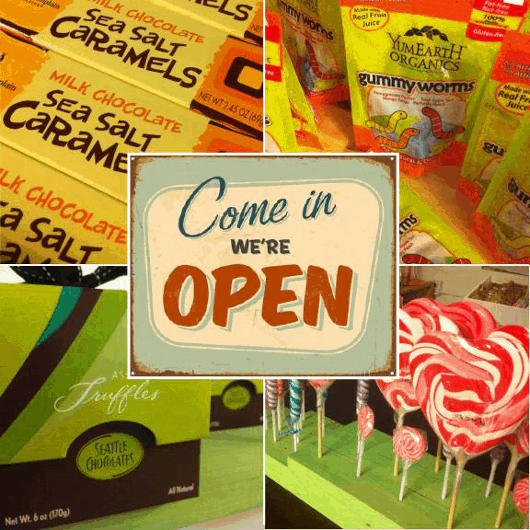 We have a 10 year old daughter – who happens to think her parents are the coolest around because we opened a candy store. My mother-in-law opened her boutique, Oolala on Studewood, in 2003. Recently, she had a tenant move out and we started talking about what to do with the space. She mentioned candy, so I hopped on board and started researching candy and chocolates. 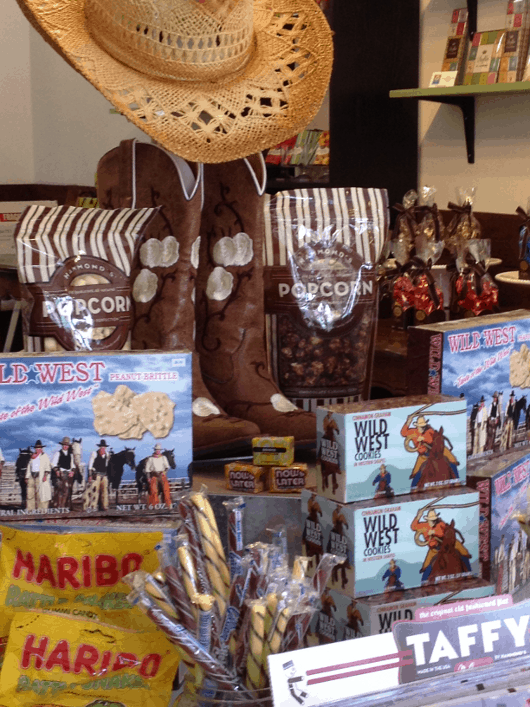 Heights Candy Bar is a boutique candy shop full of natural candy, fun traditional candy and gourmet gift chocolates located in the Houston Heights at 833 Studewood, Houston, TX 77007. Find us on Facebook too! I like as many natural ingredients as possible, so I found companies who are making candy and chocolate using real ingredients and no artificial additives. We’ve got some great chocolate bars from Washington, California, Colorado, Vermont and Belgium. 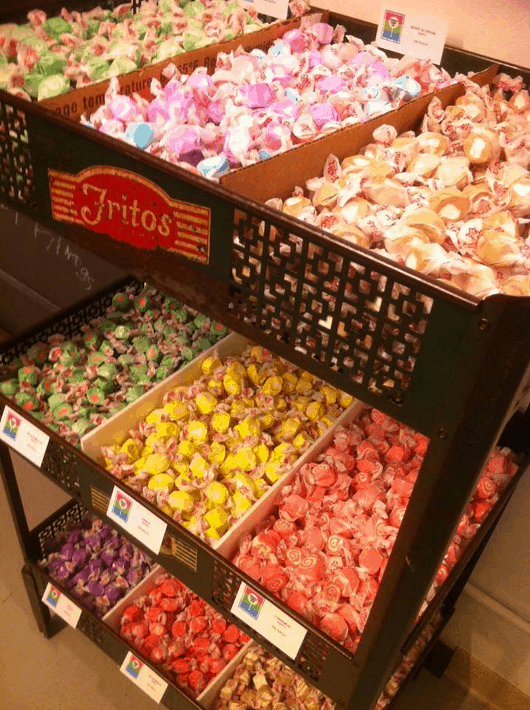 There is also some fun traditional candy and sweets that I like from my childhood, so I added some of that classic stuff, too, including salt water taffy, cinnamon toothpicks, and jelly belles and gummies. And, I am a terrible gift ‘selector’, so I added some nice gift chocolates and treats – perfect for everyone! Everyone seems happy! Candy is fun! I’ve been in Houston since I was 3. I traveled quite a bit in my 20s & 30s and I always thought I would live overseas. But after all my travels, I met my husband – he was living 3 blocks away from me for about 3 years and we didn’t know each other. My family is here. My husband’s family is here. It’s hot, but it’s home! I love all the arts and entertainment that Houston has to offer. I love that we can ice skate inside all year long, especially in the middle of summer. I love the Heights because of all the small unique shops – and the really good restaurants. I like to ride my bike or scooter – on warms days only, though…I’m a fair-weather friend when it comes to biking and scooting! Memorial Park, the Arboretum and Allen Parkway is always fun for bike rides, or walking. We like the Menil, CAM and Houston Center for Photography and going to Jones or the Wortham for SPA performances. The Livestock Show & Rodeo is awesome and I love FotoFest – both in March! And, the Art Car Parade is always a fun time, too. Architects of Air returns to Discovery Green March 15-23, 2014 - Visit Over Spring Break! Great shop! Something for everyone…this shop even has gifts for people who seem to have everything. Who doesn't love sweets? 5 stars, for sure!